There’s so much anger in this psalm. I imagine the disciples had anger - their beloved would be betrayed. A chorus of denials joined the pile saying no Lord it couldn’t be never me or decrying that he felt that one he had chosen of man said to drop our net sum is nothing if these these prophecies end with he’s going to die. You were supposed to be a king you were so close so why’d you bring us to this city we’re promised a chance to own with you up on a thrown centurions down bent fury it's ground in my teeth like hooves on a palm branch betrayed psalms answers enslaved brothers with a word not a sword in my hand make a stand Lord! He raised his hand for silence stand still l listened as he looked to the core I looked to the floor frozen in a stumble dozen wanting to grumble feet washed but not humble debating and waiting when he said sing. The angel of death passed over caught breath lambs’ blood on the door marked us holy said the seder is closing the psalms of race out of Egypt sing the psalms of places that we slept sing the psalms of provision of waters division of the earth that trembled twelve nations assembled to trust in the Lord. Like every year ‘round the table I’ve been here I’ve been able to see the reason for hallelujah see the problem right here isn’t the fear of the sword it’s the year of the sword when the nations surround me I cut them down in the name of the Lord what’s the power of God if not the power to loose these chains to unleash our domain in these songs it’s spoken plain. I was pushed back and about to fall, but the Lord helped me. The Lord is my strength and my defense. The Lord has chastened me severely, but has not given me over to death. If the Lord would not give David to death then you must feel safe in your breath why this talk of betrayal we say in this last hymn today is His love endures forever. Give thanks to the God who let the Romans prevail? Give thanks to the God whose Son is to die? 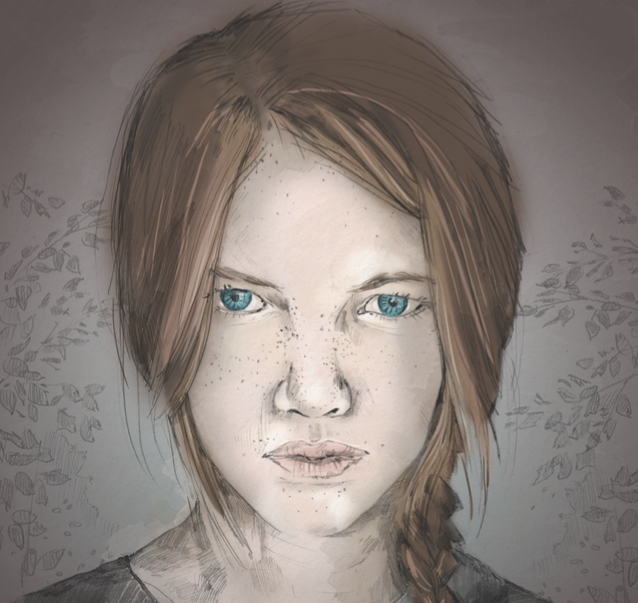 One of the coolest parts of my Goodnight Server Room adventure has been seeing the reactions and creations of readers. 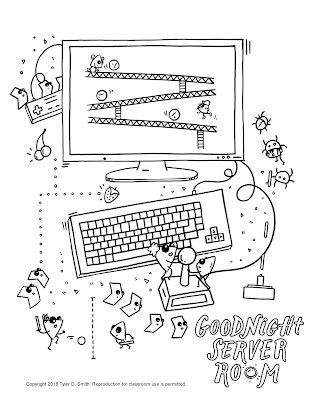 One reader, Jenny Laaser, designed and sewed plushie toys based on Goodnight Server Room's "bit" characters. 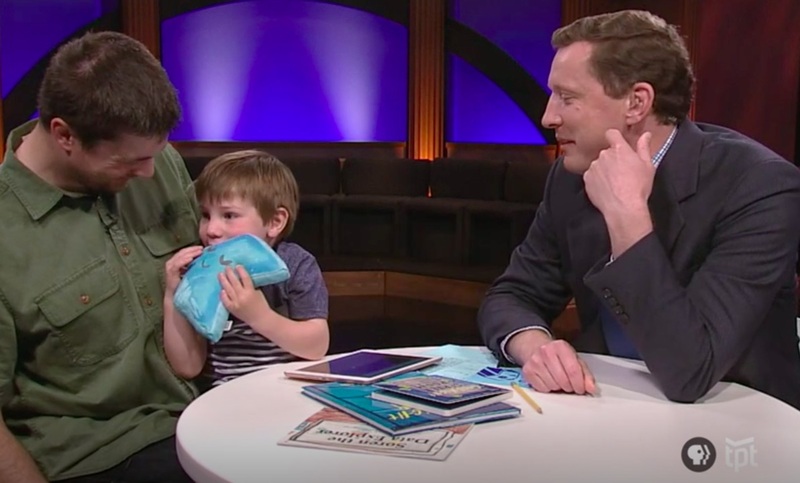 You might have seen one of these plushies on TPT's Almanac. Jenny has now published the instructions for making your own plushies! You can find them on her web page. If you're not as deft with the sewing machine as Jenny, you can also order one from my Etsy site! This summer my sons and I built a pretty awesome tree fort (technically it's just a fort near a tree, as we didn't want to injure the tree). Before building, I read through the tree fort guide in the Black and Decker Complete Guide to Outdoor Building. I love Black and Decker's guide books, especially their Home Wiring guide. I opted to use concrete "feet" rather than proper footings, as the latter is far more permanent. 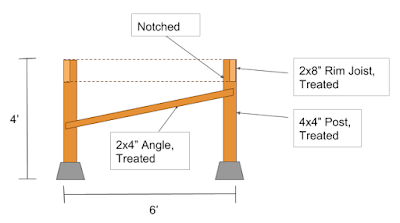 I used Home Depot's cedar-tone treated lumber for all of the supports. 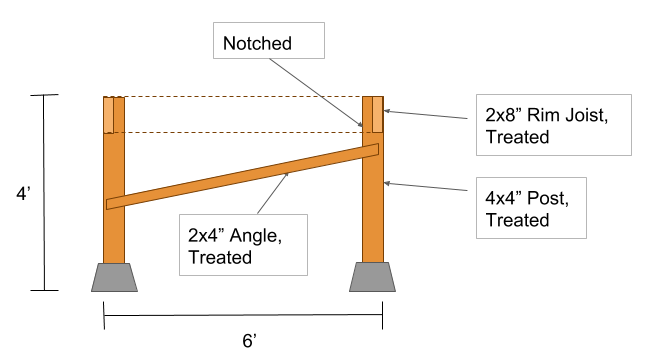 I notched the posts to support the rim joists, as shown in Figure 1. 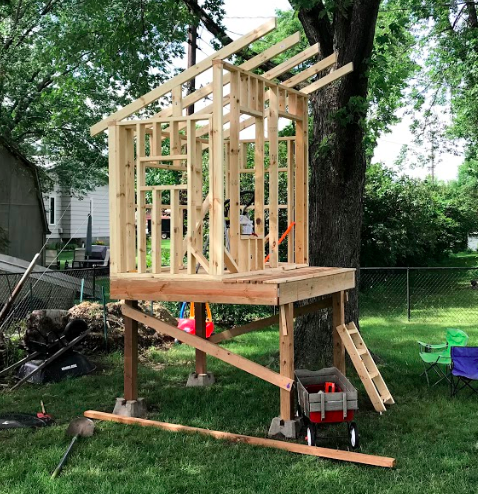 I wanted the fort to feel "up high" to my kids, so we put the deck about four feet off the ground. Platform in progress. 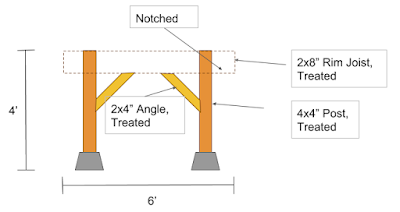 The temporary diagonals between the joists keep it square. 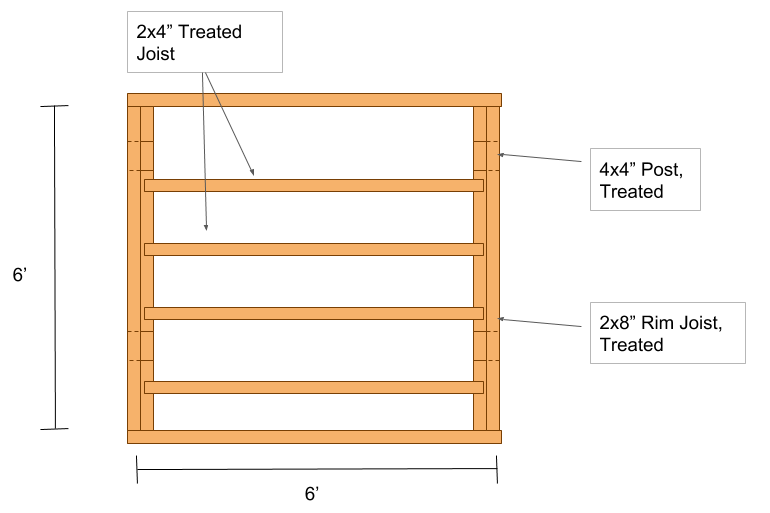 The deck is a six foot square platform built with a 2x8" rim joist and 2x4" joists. 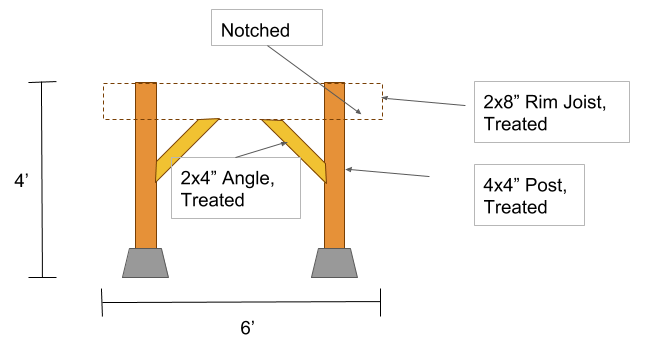 The joists are supported by a perpendicular 2x4" screwed to the rim joist, as shown in Figure 3. 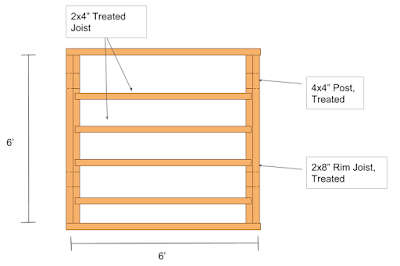 I opted to use this method instead of more expensive joist hangers as the span is short and the load is relatively small. 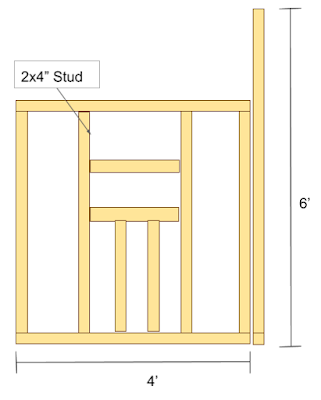 I stick-built the enclosure from un-treated 2x4" lumber. The enclosure is a four by six foot structure, four feet tall on one side and six feet tall on the other. 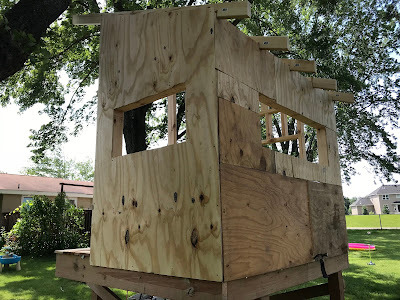 After erecting the frame of the enclosure we sheathed it with plywood. For most of the structure I used 15/32 plywood, though for the rock climbing wall I opted for 29/32. 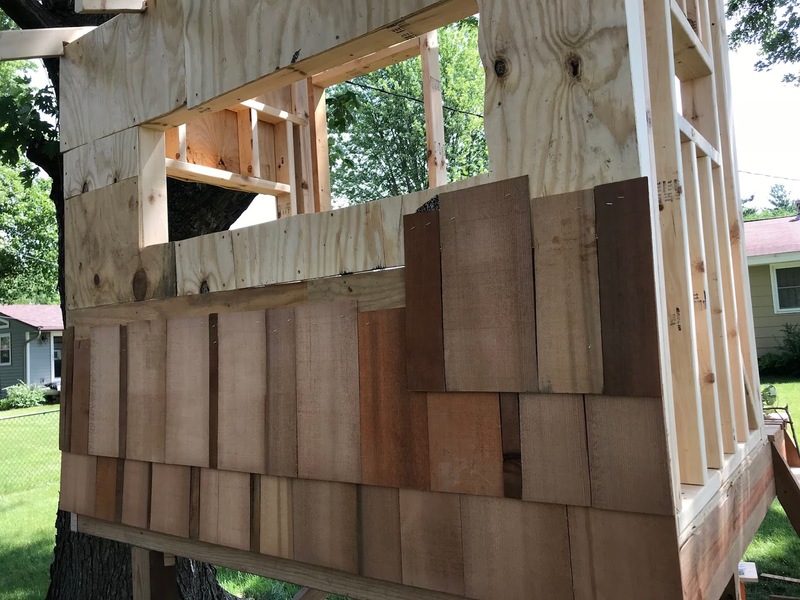 I ran 2x4" rafters from the west (lower) side to the east (higher) side, covered that with plywood, and then used tin roofing. My parents gave us some extra cedar shingles, enough to cover about half of the enclosure. 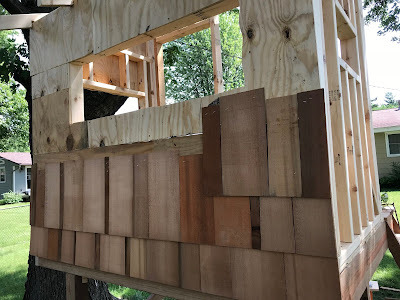 The only place I could find additional cedar shingles was Fleet Farm. We stained them and stapled them. I used cedar boards for decking on the porch and treated cedar tone 2x2" boards for the railing. 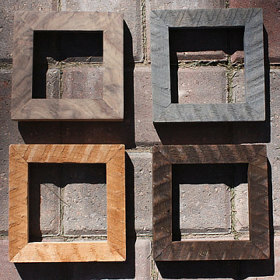 I used 1" pine boards to build box windows, then I use a table saw to cut grooves in them for insect screen attachment. 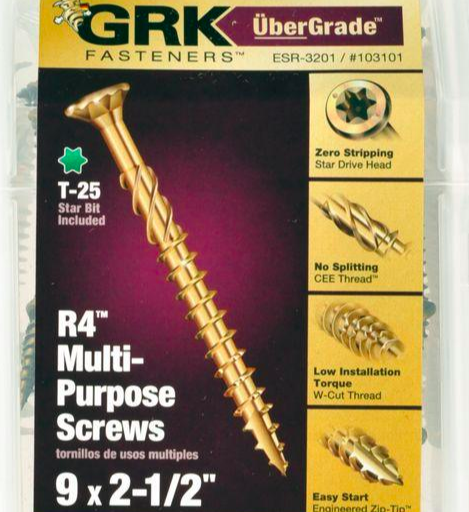 For most structural connections I used GRK 2.5" star drive self-piloting construction screws. These are more expensive than most other screws, but the cost is absolutely worth it. 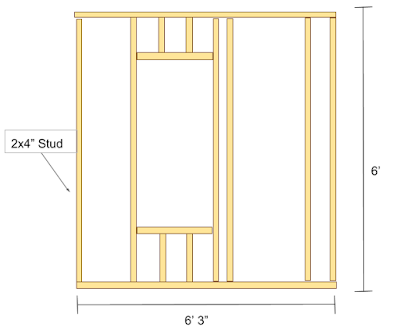 Note that as the rim joists sit directly on the posts, I did not need to use lag bolts. I'm teaching a course called, "Writing from Start to Finish" at Mercy Vineyard Church April 18th and 25th. For anyone in the class, or anyone else interested, here are the slides. I pulled out the references for quick access. Grammar, sentence structure, clarity. Clarity! What makes a good critique? 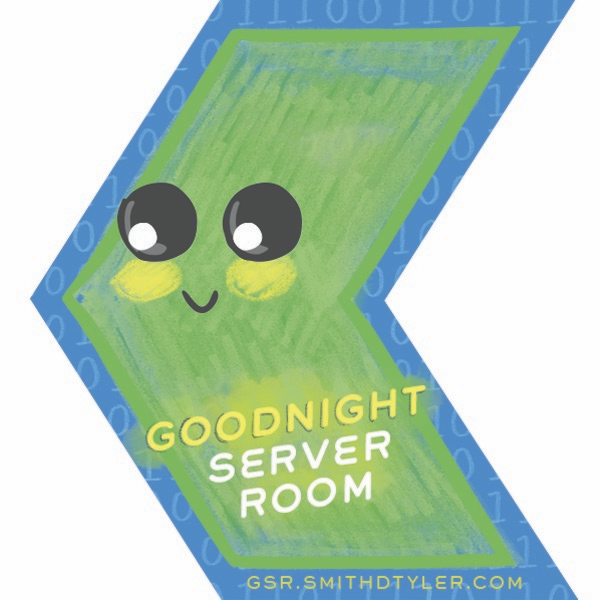 Update: The game is live at gsrgame.smithdtyler.com! 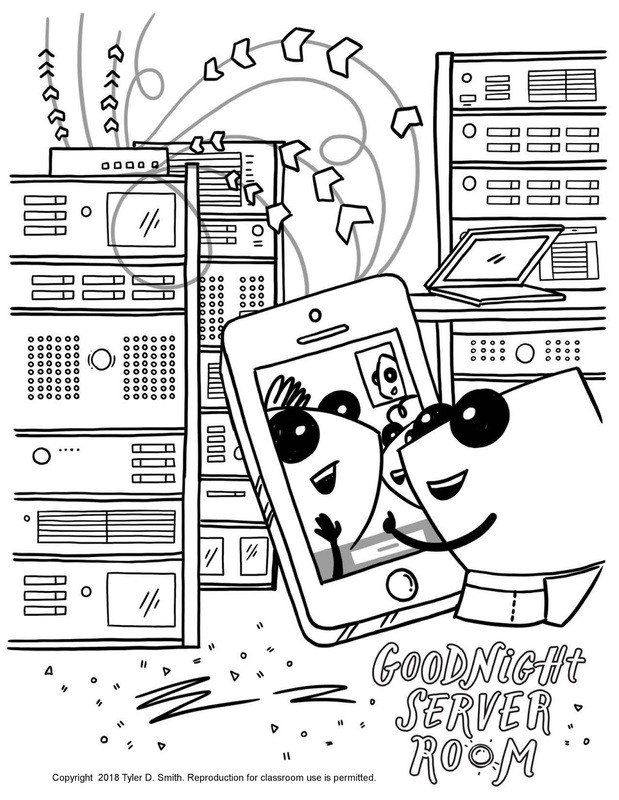 Over the last couple of months I've been doing classroom trials of the Goodnight Server Room app. I've tested the app with toddlers, second graders, middle school students, and even a few college students. What surprised me most was how quickly the second graders caught on to the concepts in the game, but second most was just how much everybody loves getting points. The app lets students proceed through the games as quickly as they want - there aren't gates or levels like you might find in traditional video games. I wanted it that way so that my preschooler would not get stuck on the first page. Usually when I have a room full of students playing the game a few of them race through it in a couple of minutes. I see hands go up, "I'm done!" "How many points did you get?" I ask. "900!" comes the challenge from across the room. With this exchange the timbre of the whole room suddenly shifts. The activity is no longer about just going through the steps to move on to the next thing. Now it's about exploring. I don't tell the students how to get points, I just let them search. It doesn't take long for them to discover that they keep getting more points by solving more binary puzzles. Now they're not just engaged, they're actively seeking out opportunities to learn (though by now they've gotten that part, they're just having fun). For years I lived in an awkward truce with Facebook. Facebook hosted my family photos, political rants, and updates on side projects. In exchange, I accepted that Facebook would use my profile information to show me targeted advertisements. I even made some of those advertisements myself to help market my books. This week's revelation that Facebook's lax rules on app developers sharing profile information led to 50 million people's profiles being used for electioneering broke the truce. I don't know if my profile information was shared, but it's clear that millions of people had their information released to a third party without their consent. Unlike other data breach cases, this wasn't a hack. This was just a clear illustration of Facebook's lack of concern for user privacy. This broke the truce. I'm not going to delete my account. In an age of identity theft and imposter accounts, Facebook still provides a useful tool for asserting my identity. Quitting entirely would leave a Tyler-sized hole in Facebook that could be used to confuse my friends and relatives. Facebook still provides a useful way for me to foster confidence in my public key on the part of my friends. What I am going to do is delete the majority of my content. Facebook broke the truce, so I'm taking away the content that helps drive traffic and generate their revenue. 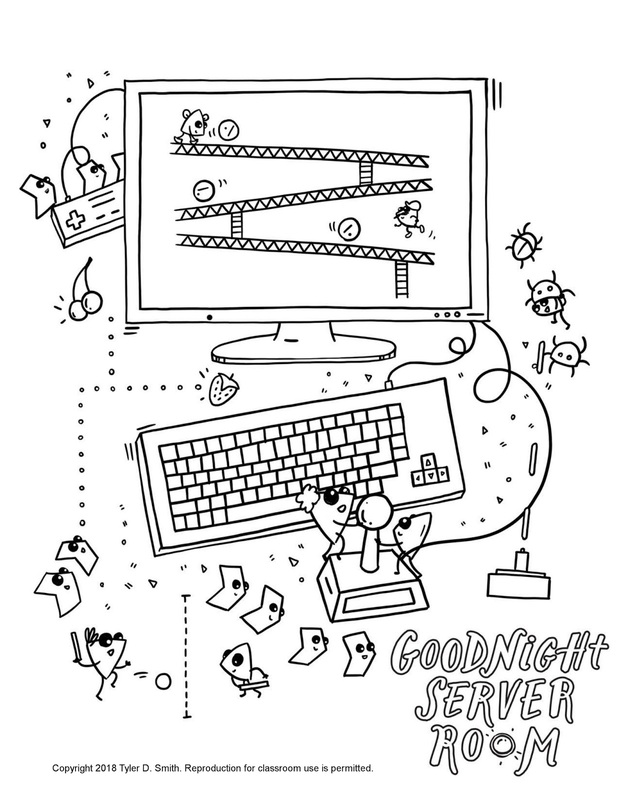 Emily Krueger made a couple of awesome coloring pages for Goodnight Server Room! Click on the links below for high resolution versions. Printing and copying for personal and classroom use is permitted.